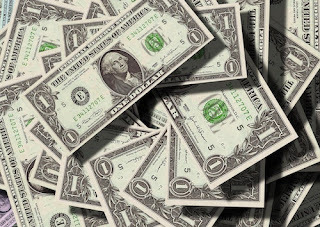 PsychologySalon: The $10 Million Question: What if you could win lots of money by making yourself feel worse? 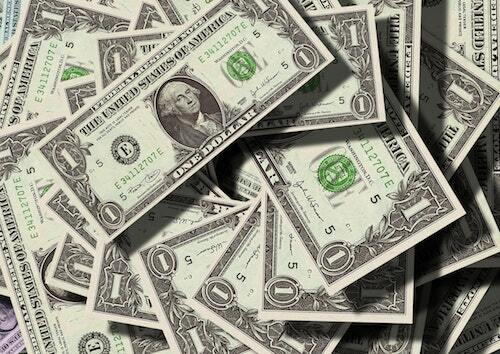 The $10 Million Question: What if you could win lots of money by making yourself feel worse? Even seasoned clinicians often find the first session of group therapy daunting. The participants are new to the room, new to the approach being taken, and new to each other. They sit eyeing one another with deep reserve. It is the job of the group leader to stitch this collection of strangers together into a functioning group. But in those first moments there is scant sign that such a transformation is possible. If the participants are clinically depressed, the oppressively flat energy in the room can add to the challenge. And if they are just out of hospital, well … it can seem all but hopeless. That’s the scenario that faced us when the Changeways Program staff began offering our post–hospitalization depression groups. Most of the clients had been in therapy before, and virtually all had tried a variety of medication-based approaches. They were understandably skeptical that anything that might happen in our little group would have much of an effect on their lives. We could try cheerleading them, extolling the wonders of cognitive behavior therapy, but this was unlikely to get them charged up. Instead, we tried to going in the opposite direction. “Did you happen to see the $10 million sitting there in the middle of our table?” I would ask. The clients would glance quickly down at the empty conference table and narrow their eyes at me suspiciously. A few clients would reject the idea. Still not worth it. We would go around the room and get one idea from each person. Then we’d throw the floor open and ask for more. The answers would come haltingly at first, then would spill out in a rapidly developing flood. The leaders, writing the ideas on the board, would be straining to keep up. And despite the contrary nature of the exercise, the emotional tone in the room would lighten. What was the point of this foolish question? First, most of our clients felt that they had no control over their emotions. The exercise proved to them that this was false: they could make themselves feel even worse if for some reason they wanted to do so. Second, they invariably noticed something. They were already doing many of the things on the list. Staying in bed. Isolating. Eating junk food, or eating not at all. Focusing on the negative. Ignoring the positive. Anticipating future disasters. Rehearsing past losses. If these truly were paths toward lower mood, perhaps their depressed state was somewhat less mysterious. But wait. If they were choosing to do these things, did this mean that they wanted to be depressed? Almost certainly not. Depression affects not only our mood, or our thoughts. It changes our motivations as well. Normally we might look forward to the family barbecue this evening. When our mood is low, its appeal will vanish and the quiet solitude of our bedroom may sing its siren song to us instead. This seems to be a standard principle not only of depression but of low mood in general. As our emotional tone darkens, we become motivated to do precisely that which will make us feel even worse. If we follow our temptations, we will skip inadvertently downhill. Arresting the decline may first involve stopping what we are doing, then turning around and doing the opposite. Today, the $10 Million Question has become a standard part of my repertoire, whether I am seeing someone suffering from clinical depression, or a person just feeling vaguely blah about life, the energy slipping out of them like helium from a balloon. The path upward often seems obscure and unknowable. The path downward, however, is easy to find. And, given that it is a two-way street, the two routes are one and the same. Try it yourself. Sit down with pen and paper and ask what you would do if it was your agenda to feel worse, to lose direction in life, to deflate your enthusiasm. How would you think? What would you do? Some of the answers you arrive at may be unique to you. Most will not be. Modern culture trains us in a wide variety of methods of cultivating unhappiness. We engage in them unintentionally and share them with others. Come up with 10 strategies. Then sit a little longer and come up with 10 more. Give yourself at least 20 minutes. Then carry around pen and paper for three days. Having asked the question, answers will pop into your head long after you thought you were done. Each of the strategies that you come up with is a choice point. Having found the road, you can turn right or left. Upward or downward. It may not be easy to choose the unfamiliar path. But the first step is simply to recognize the choice. 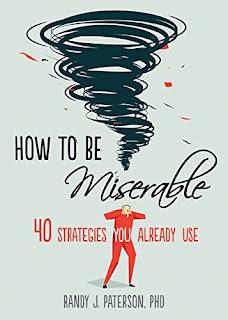 In weeks and months ahead we will examine some of the most effective strategies for becoming more miserable. Some of these will be individual. Some may be in relationships. Some may be cultural. A few will involve paying too much attention to mental health “experts” like me. You may think that we are doing nothing but creating a map of life’s potholes. You would be right. So if you want to find pothole, you’ll know where to come. But if you want to avoid them, you’ll have to know where they are. Write to let me know what brings you down, and to ask questions you think might relate to the topic of this blog. I can’t give clinical advice relating to a specific problem you face – this isn’t an Agony Aunt column, after all, and I haven’t met you and don’t know all the details of your life. But I’d like the dialogue to be two-way if possible. I can be reached at drrandypaterson@gmail.com. Please understand that time and professional constraints mean that I cannot reply personally, but a selection of comments and questions will appear in the blog from time to time. The $10 Million Question is central to the ideas behind my new book, How to be Miserable: 40 Strategies You Already Use (New Harbinger) - now available from Amazon, Barnes & Noble, Indigo, and booksellers everywhere.